In this blog, I share my favorite food tips, tricks, and simple recipes. I have been cooking for most of my life, and over the last 20 years, I have developed a simple philosophy of smarter cooking built upon smart yet straightforward recipes, featuring fresh ingredients and global flavors cooked in an efficient yet straightforward manner. In every blog post, I will share tips, tricks and maybe a bit of food history – centered around the idea of an easy and ultimately tasty recipe. 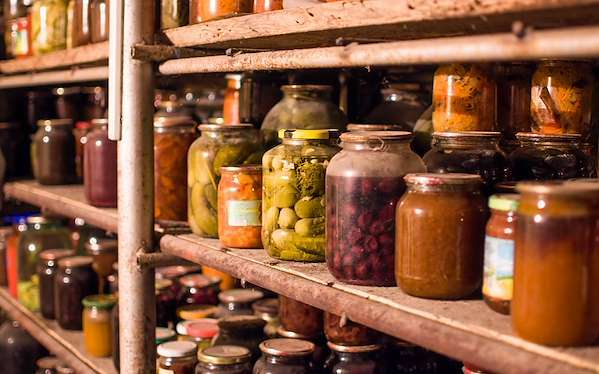 When you have a well-stocked pantry, you can save time and money. Let me share some of my best pantry tips & tricks, from maximizing your space to choosing essential ingredients. You will always have staples ready whenever you are ready to prepare a delicious meal! Pasta is represented in just about all international cuisines. Let me show you how inexpensive & easy it is to make fresh pasta from scratch! Use your noodles to make some of my best pasta-forward recipes. 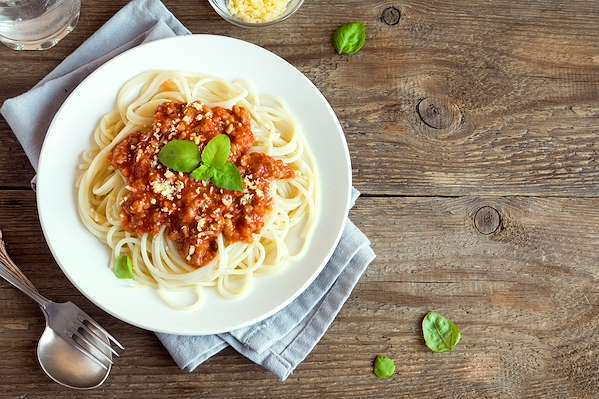 When it comes to yummy pasta dishes, it will be hard for your family to resist! 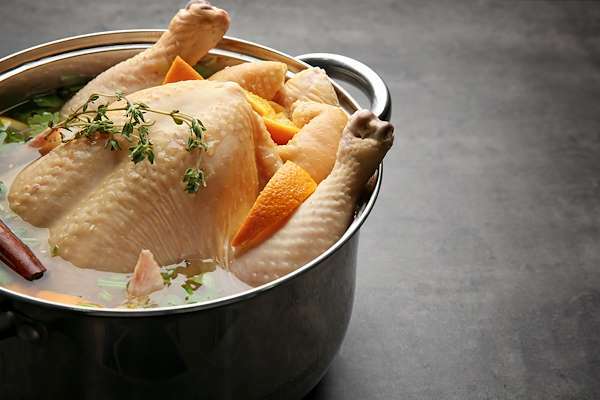 For ultimately tender and flavorful meat, brining is an excellent choice. The simple process of soaking it in salt water, herbs & citrus makes the toughest cuts fork-tender and infuses them with a phenomenal taste that your family will enjoy. Let me show you how easy it is to brine beef brisket to create succulent corned beef! If you love chocolate desserts, wait until you discover how well it pairs in savory dishes! Try my easy recipes that combine cocoa with zesty Mexican-inspired spices to create mouth-watering barbecue rubs or savory chili. Chocolate adds subtle creamy, smoky nuances that send your taste buds into overdrive. Give into your chocolate cravings and try my elegant & tasty chocolate martini, too! 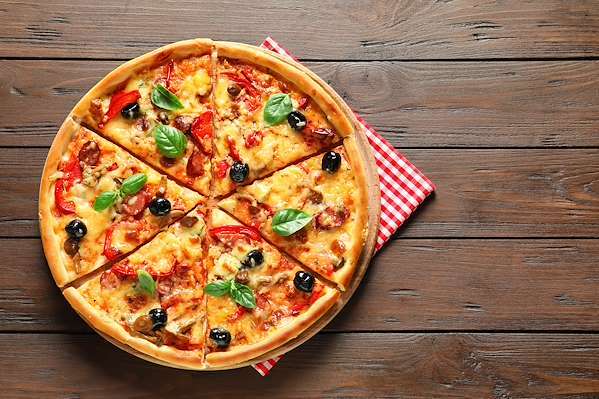 Instead of ordering take-out for your next family pizza night, why not create a yummy pizza from scratch? From making your own pizza dough to preparing a flavorful sauce, you will be amazed at how easy pizza recipes can be! Here are some of my favorite tips & tricks for the ultimate homemade pizza. The right usage of herbs & spices makes a big difference in your finished dishes. Try some of my delicious spice-forward recipes and discover how tasty seasoning blends can be! 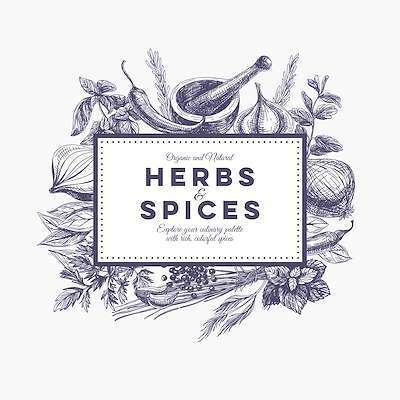 International recipes will develop your palate for tasty herbs & spices in all your cooking. For centuries, vinegar has been an indispensable ingredient for home cooks. It preserves, pickles, and lends tangy flavor to sauces and dressings. Discover how easy it is to create herb-flavored vinegars at home to zest up many of your favorite recipes! As an aficionado of vintage cookbooks, I discovered that braising has been a popular method of cooking for a long time. When I researched the technique, the earliest references I could find were from 18th century France. French cooks called the process of using dry and wet heat to prepare meat “braiser,” which morphed into our English word braising. Ask a kitchen pro what the secret is to creating dishes wrapped in full flavor and what you’ll hear is “go low and slow.” This is a secret the folks at Rival have known for decades, and it was the inspiration for today’s modern Crock Pot. The winter holidays season is here, and it is time to warm up the oven. Baking goodies is a cherished holiday tradition for most families. I have compiled some of my best baking tips & tricks to help make your work easier and more efficient. Whether you are a novice or a seasoned baker, these helpful hints offer sweet success to everything you bake for family and friends! Steak 101 - A guide to a perfect steak, always! Are you craving a great steak? Cooking a great steak is both a science and an art form. In this post, I provide you tips and tricks on cooking a perfect steak in the comfort of your home. Here is everything that you need to know to prepare a fantastic turkey for this Thanksgiving or Christmas. A holiday table would not be the same without at least one scrumptious pie for dessert. Whenever I smell warm spices associated with fall, my mind goes back to my grandmother’s kitchen and her tasty pies fresh from the oven. Our family did not always have the traditional pumpkin pie for dessert. Often, Grandma surprised us with delectable varieties like walnut, Dutch apple, and gooseberry pies. Thanksgiving is a holiday centered around the meal. Making a perfect meal is a lot of pressure on home cooks. It takes a lot of planning and prep work to cook a perfect Thanksgiving buffet. Without proper planning and preparation, it is very easy to become overwhelmed. Are you running short on easy and quick dinner ideas? Why not serve up a plate of tasty pasta. Pasta meals are both simple to prepare and fairly budget friendly. With a modest investment, you can cook an easy, fresh and healthy dinner for your family in under 45 minutes. Eating healthy can be a challenge, but adding healthy whole grains to your diet need to add extra stress. I provide helpful tips, tricks, and recipes to include more healthful grains in your diet. Breakfast is one of the most important meals of the day. It need not be a challenge to make healthy, easy and fresh meals for your family. Follow my helpful tips, tricks, and recipes for an easy breakfast. Are you dreading packing your kids’ lunches for school? It doesn’t have to be difficult, follow our tips & tricks in this post and you can have a healthy & fresh lunch for your kids every day, with minimal effort. One of the beautiful things about late summer is enjoying the bountiful peach harvest. No wonder August is crowned as National Peach Month! Take advantage of your stash of fresh peaches and incorporate them into one of these delicious recipes! Peaches can add pizzazz to any dish, whether it is a savory or sweet. Go beyond peach cobbler and sample some of these suggestions. Are you ready to fire up the grill for the season? July is National Grilling Month, and a time to try new and exciting grilling recipes. Whether you use charcoal, gas, or electric, grilling food is economical and can be a healthy way of cooking. Consider some of these tempting recipes and invite your friends over for the ultimate barbecue! Independence Day is the quintessential holiday for the grill. Try this scrumptious menu, featuring Jamaican-style BBQ ribs, savory grilled chicken, and a delicious vegan/vegetarian dish. Pair it with grilled corn salad, tempting desserts, and quick cocktails made by the pitcher. Sit back and enjoy the fireworks! When it comes to using dairy products in your recipes, you are only limited by your imagination. Most dishes, whether sweet or savory, feature dairy as a binder or a flavor-enhancing ingredient. No wonder we designated June as National Dairy Month! To celebrate, try this tempting dish that features the freshest dairy ingredients. Instead of the usual soda, why not make a gallon of iced tea for your next meal? Enjoy tall, frosty glasses of your favorite tea, sweetened or unsweetened. June is National Iced Tea Month, giving you even more reason to try some exciting iced tea recipes for your family. On June 19, 1965, two months after the Civil War ended, slavery was officially abolished in the American South. Although it began as an African-American tradition, Juneteenth has become a multiethnic celebration. Festivals and Low-land feasts are common. This Juneteenth, treat your family with some authentic soul food dishes. Enjoy the bounty of the farmers market every week. Take a moment of time and enjoy picking out the best & freshest of vegetables to use in these simple and elegant recipes. Are you searching for ways to help your family eat healthier? Cuisines from the Mediterranean region are loaded with vibrant dishes that are as healthy as they are flavorful. The Mediterranean diet includes a variety of fresh seafood dishes, veggies, pasta, fruit, olive oil, and plenty of aromatic herbs and spices. As this blog will show you, eating healthy does not have to be boring! Celebrate the humble legume, the peanut this March with these classic & global recipes. A healthy diet can greatly reduce your risk of developing cancer. 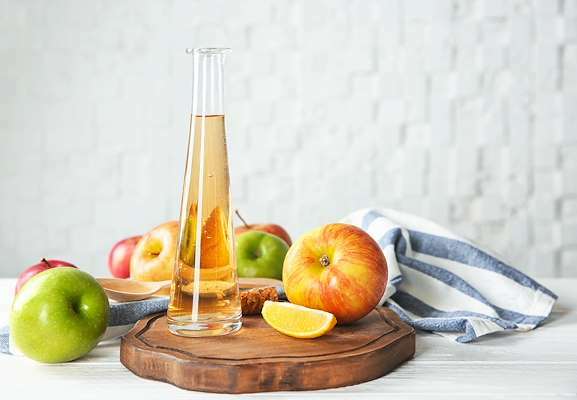 In this blog, we explore the benefits of a healthy lifestyle and provide some delicious recipes that will be easy to incorporate into your new healthy routine. Many people only consider potatoes, corned beef, and soda bread when they think of Irish cuisine. While these foods are common, they are only a sampling of what is served today in Irish homes and restaurants. Over centuries, Irish cuisine has evolved with foreign influences and Irish cooks continue to focus on seasonal ingredients and innovative techniques to expand their cuisine. If you enjoy Asian food, then you will love the distinct style perfected in Korea. Cooking Korean food at home does not have to be intimidating when you understand some of the basics. After you learn about the spices and techniques that make Korean cuisine unique, you will be preparing delicacies that will impress your family and friends. Here are some useful things to know about Korean cooking. Like any task, cooking requires the right equipment and organization. Having an organized kitchen saves you time, money, and endless frustration. Try some of these suggestions to get started. Just a few years ago, quinoa was only known to frequent customers of health food stores. The average household in America had never heard of it—let alone pronounce it (kee-NWA). Today, you can find quinoa in just about any grocery store. Home cooks conclude that it is an ideal substitute for potatoes or rice. When the summer heat is blazing and the swimming pool is calling your name, the last thing you want to do is be stuck with a sink full of dishes. These one dish wonders can be made in a sheet pan in the oven or in one pot on the stove. Your family gets a fast and easy meal, and you get a break with only one pan to wash. These menus will give you more time to have summer fun with your family! One of the reasons that many of us do not do a lot of cooking is because of time shortage. Many vegetables, such as potatoes and carrots, need a while to get tender enough to eat. No wonder American cooks were fascinated with the pressure cooker. They were once found in almost every home. Not only is homemade food more cost-effective, but it can actually be even more flavorful and healthier! Restaurants often use shortcuts that add unnecessary calories to food and affect the overall flavor. People often feel that cooking food at home is too time-consuming and challenging, when, in fact, cooking at home and fun, easy and quick! Mashed potatoes are a great example — they're actually super easy, a fantastic way to round out a meal. Did you know that potatoes aren't the only vegetable that's good for mashing? In fact, there are some other incredible, nutrient-packed veggies that make super flavorful mash. Here are some great examples that are perfect if you're on a low-carb diet and still want a delicious side dish. We all know we should be cutting down on our fat intake, but it can be hard to find good recipe ideas for fat free foods – especially when you’re cooking on a budget! But wanting to cut the fat doesn’t mean you have to drain your bank balance too. Here are four cheap and easy tricks that you can use to transform any recipe into a low-fat feast. With thousands of varieties, tastes and textures made from just a few basic ingredients, bread still amazes, despite its ubiquity. Every world cuisine has at least one national bread, and each entered the culinary world from scratch, just like those you can make at home. After baking your first great loaf, you might never go back to store-bought bread, and after you realize the cost effectiveness, you might not want to.